Vote for Pauline Roccucci for Roseville City Council 2018. #1 on your ballot… #1 for Roseville! Serving the community is why I’m running for Roseville City Council. For me, you could call it my life’s second calling. I take great pride in keeping up with the pulse of the community. Whether it’s through your phone calls and questions, listening to your comments at public meetings, seeing you at one of our city and neighborhood events, or meeting you for coffee to discuss our community. It’s also personal for me. My entire family lives in Roseville and South Placer County. 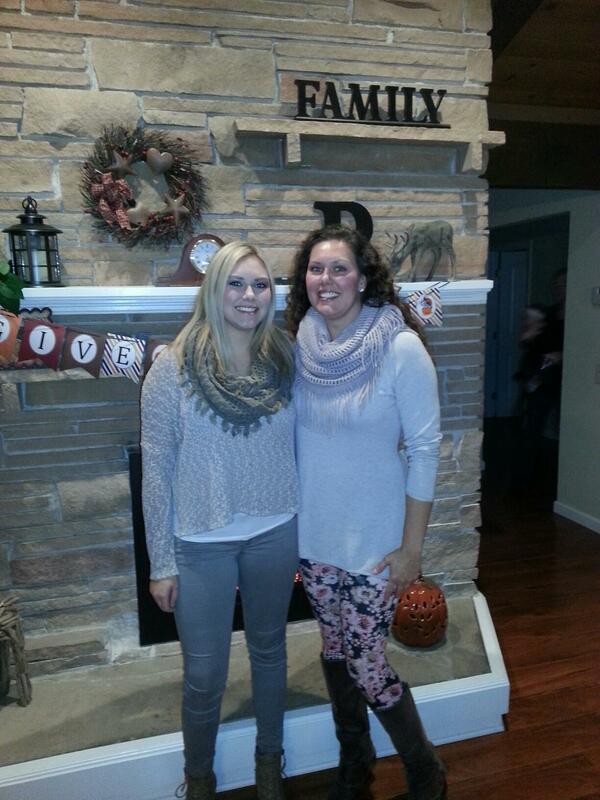 I want to make sure their children and grandchildren will also feel that Roseville is the best place to call home. I know this can only continue to be a vibrant place to live by keeping and expanding the tax base thru proper planning and infrastructure that will encourage business to remain and to relocate here in Roseville. Proven experience with a track record of success. 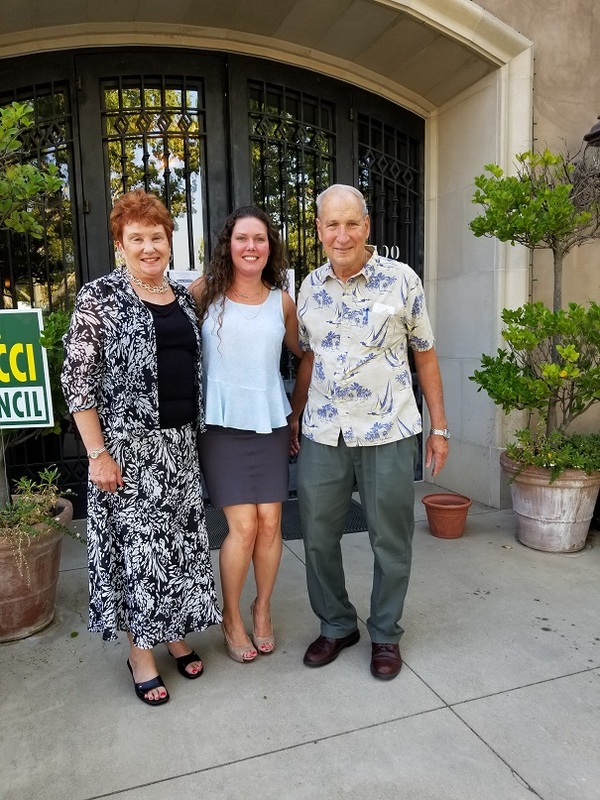 Having been the Mayor of the City of Roseville twice, and serving on dozens of committees that are involved in public health and infrastructure, Pauline Roccucci knows what it takes to run our city. 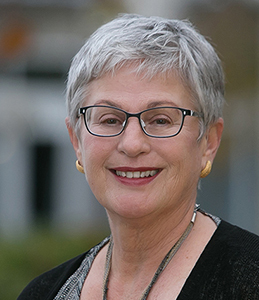 With 30 years of experience in public policy and planning, Pauline has been a part of many organizations that have had meaningful impacts on the lives of many in our area, consistently delivering quality results. 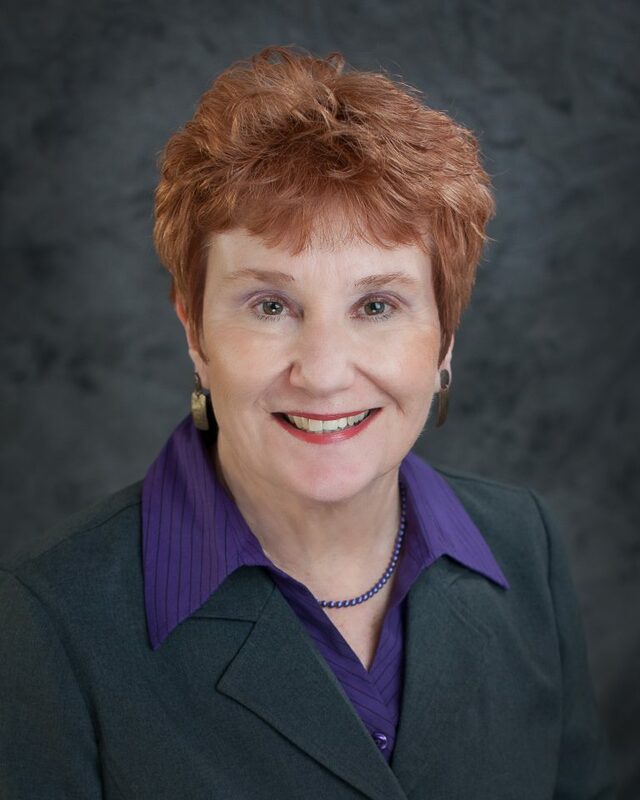 Roseville will continue to benefit from her commitment and expertise if elected again for City Council this November. Common sense goals and priorities to guide us. Public safety, utilities and services, revitalization, quality of life, traffic, and fiscal responsibility have and will continue to be Pauline’s main priorities to ensure Roseville continues to provide the same quality of living its citizens have come to expect over the years. 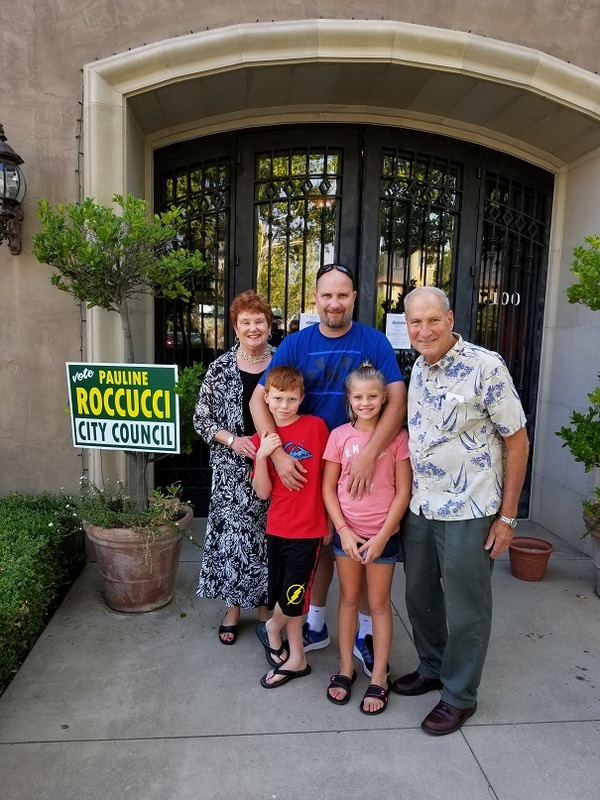 Having family who’ve lived here for nearly 100 years, the Roccucci’s know how rewarding it’s been to live here, and to preserve that same experience for everyone who is and will be part of this community. This motivation to keep our standards high drives her 2018 campaign for election, and with your support can become a reality. The Roccucci Family — Pauline, husband Richard and all four of their children and six grandchildren are proud to call Roseville and South Placer home. Families are important to me and I will continue to base my decisions to benefit families, our youth and seniors in Roseville. I’m a good listener who is dedicated to improving our quality of life by addressing my priorities of traffic relief, managed growth and fiscal responsibility. I hope to improve our fire and police response times and lessen congestion on our roadways to make our community safer. I plan to accomplish this by continuing the City’s effort to improve roadways and enhance our traffic signal coordination along major arterials. I am especially concerned about the need for careful City planning in the proposed developments in Western Roseville to help us prevent the kind of reckless sprawl that has too often occurred in other parts of California. Our family is dedicated to public service. One son is a firefighter/captain, another son a probation officer, a daughter who is a paralegal and has been an elementary school teacher and a daughter who works at Buljan Intermediate School and the City School District Adventure Club..
My mother and father in-laws owned and operated a shoe repair business in Old Historic Roseville for over 45 years and my father worked for the Southern Pacific Railroad in Roseville for over 40 years. 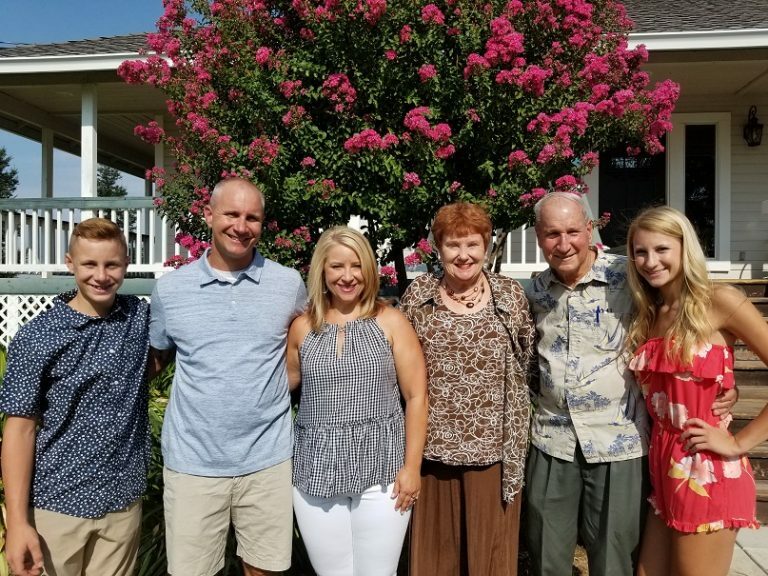 My family has lived their entire lives in Roseville so I’m determined to keep Roseville a great place to work, live and raise a family. My goal is to keep all of our services and utilities at the high level of quality our residents and businesses have come to expect. We need to do this for our children and families. I’m a strong advocate of common sense planning principals. As Mayor of Roseville I incorporated these principals into all our city’s “Specific Plans” to provide a balance between residential, commercial and industrial so that the development is fiscally sound. We however need to keep a close eye on the “Regional Blueprint” planning process because it does not adequately address our infrastructure needs and emphasizes high density development that will create more traffic congestion and more overcrowding in our school classrooms. Smart growth should be the guiding principal where there is a balance of residential and commercial development and where homes are conveniently located near places of employment and shopping. Public Safety – A safe community by providing the best police, fire protection and emergency health services for our residents and businesses. Utilities and Services – Maintain and improve our utilities and services. Maintain low costs and reliable services which are essential to economic development and citizen well being. Ensure we have a safe water supply, parks and open space for all of our residents. Revitalization -Continue the effort with revitalization of Roseville’s older areas to minimize blight and encourage private investment. Quality of Life – Continue to provide for and increase new businesses in Roseville with emphasis on quality jobs so people can afford to work, live and play in Roseville. Emphasize target industries like green energy, health care, and higher education. Traffic Relief – Improve and expand our transportation and roadway systems with an emphasis on providing more opportunities for alternative transportation options like public transit, bicycling, and walking to make Roseville a more pedestrian friendly city. Fiscal Responsibility – Promote strict standards of financial oversight and public accountability in City government. Safe roads Demanded new development pay the full cost of roadway improvements. Specific plan Worked on almost every specific plan in the City of Roseville which has resulted in our successes. Strong Public Safety (police & fire) Voted to fully fund the police and fire departments to keep Roseville residents safe. Graffiti ordinance Authored the ordinance which kept the City of Roseville a graffiti free city and lessened gang violence. 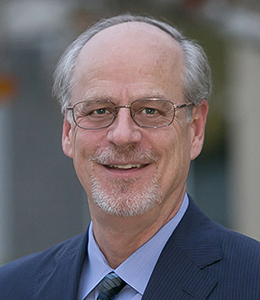 Electrical, water, waste water and solid waste Was City of Roseville’s representative on local, state, and federal committees and commissions concerning issues critical to Roseville and Placer County. Low utility rates Always worked to provide the community with the lowest utility rates in the State of California. Economic development Worked to bring the Auto Mall and Roseville Galleria. Was instrumental in convincing Nordstrom they should be one of the anchor stores in the mall. Worked to expand shopping and housing options for local residents. Made affordable housing a top priority. Park development Developed and maintained standards for neighborhood parks, regional parks, and open space. Each development needed a park within walking distance of the new residents. The standard is the highest in the State of California. Why are you running for the Roseville City Council? I’m running for Roseville City Council to protect our community values and our family-friendly quality of life. I’ve lived in Roseville all my life. I had grandparents who came here in the early 1920’s. For me, it’s more than just a place; it’s a special part of my life. I plan to retire here, and I want to make sure it’s a good place for all city residents, present and future. What do you see as the critical issues in Roseville? The biggest issues in Roseville are traffic and planning along with good fiscal management. Part of my background is having served on the Roseville City Council for 12 years and 4 of those as mayor. In those years, I worked on almost every specific plan in Roseville. You have to have good planning. And once you have a plan, you have to stick to it. When you start eroding the base plan, you start having traffic and jobs and housing balance problems. I want to ensure that it’s not just developments, it’s communities being planned. Housing and jobs need to go together to reduce traffic and improve air quality. I also want to make sure that we’re using water efficiently, and that we’re using the surface water we have. We need water and energy planning and I bring that kind of expertise to the Roseville City Council. Balanced growth provides revenues for needed services. If elected, what would you want to accomplish? I would work to improve communication/coordination between the Cities of South Placer and Placer County so we can plan better as a region. I come with the background of having served on the Roseville Planning Commission, Roseville City Council, Placer County Water Agency Board District, and I also have an ability to work with people. That’s what I’m going to bring to the Roseville City Council. I have the experience of being able to work with many entities. You get things done when you get people to the table and talk. I also would bring leadership and trust to the Council. Others may agree or disagree with me, but they will always know where I stand. How do you feel about growth in the City of Roseville? Growth needs to be controlled and all the element s of Smart Growth need to be incorporated into the plans, not just increase the density of residential zoning. I want to make sure we maintain a mix of land uses. It takes careful planning and making sure you have the entire infrastructure in place. You don’t build something without the right infrastructure like roads, water, and schools. I’m going to make sure that any plan that comes before us has a good traffic plan. Roseville and Placer County recently agreed to a revenue sharing plan which will provide for the infrastructure required in the new growth in West Roseville. Traffic congestion has always been a big concern for Roseville residents. If elected, what will you do in regard to helping alleviate traffic woes? When looking at new development, our existing residents need to be taken care of. We can’t look to the future if we can’t take care of what we have right now. As we’re looking at new annexations, we need to make sure that we have the proper transportation systems in place. The new development should pay for all the required infrastructure and new growth shouldn’t have to be paid by existing residents or businesses. When it’s all said and done, we all have to live here. Do you think campaign fundraising for City Council positions should be curtailed? My opponents will raise a lot of money, much of it from special interest. I just use common sense on campaign fundraising and spending. I want to make sure I raise enough money to run an efficient campaign. I prefer that there is a campaign limit for all candidates. Although the position of Roseville City Council Member is nonpartisan, does partisan politics play a role in the election process? Everybody needs to look at the candidates running and pick people who are going to listen to them and who have listened to them in the past. You should expect your representative to have an open door and listen to you because you are a citizen of Roseville. You should demand that from any of your representatives. I’m here for service to the community and citizens should expect good service from me, and not because I belong to one party or another. I love this community. My husband and I are both life long residents of Roseville. 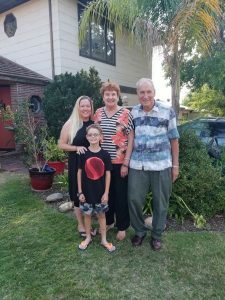 Our 4 children and 6 grandchildren are all residents of Roseville and South Placer. My background of 40 years as a registered nurse and my community service for over 20 years has provided me the experiences to continue to be a leader for Roseville residents over the next four years. Our family is dedicated to community service. My husband is a former Mayor of Roseville and presently is a Placer County Planning Commissioner. One son is a firefighter/captain, another son is a probation officer, a daughter who is a paralegal and has been an elementary school teacher and a daughter who has worked as a pre-school teacher’s assistant. My vision is for Roseville to be a vibrant, healthy community where we can work, live, play and raise our families in safety.